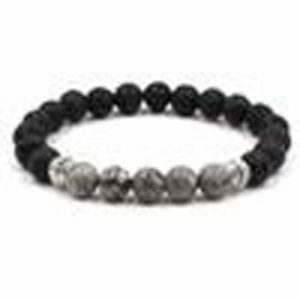 NEW WHOLESALE PRICING TO THE PUBLIC. Coral’s favorite design. 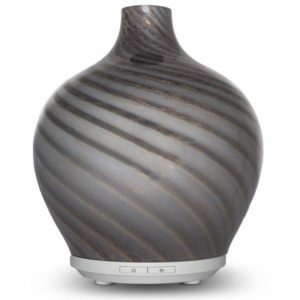 This Hand-blown glass diffuser is unique with dazzling patterns. The glass top sits on a wooden base. 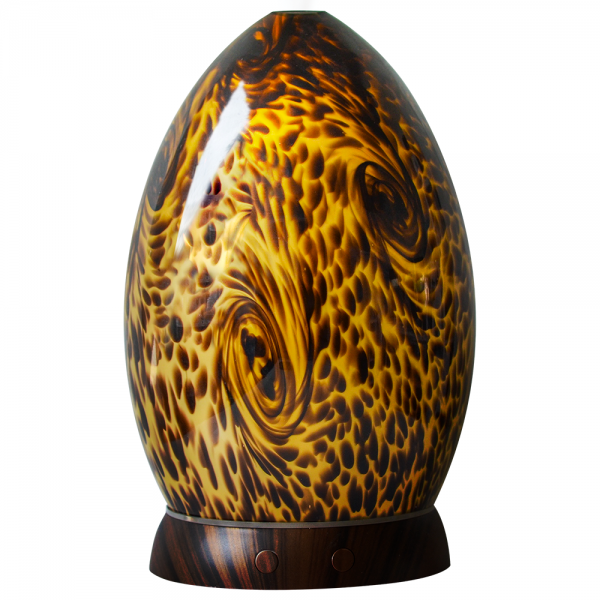 A luxurious, beautiful hand-blown glass diffuser patterned after natural formations of swirled and spotted amber stone. Warm white, rotating colored lights or fix to a single color to illuminate the design. A centerpiece that delights the senses. 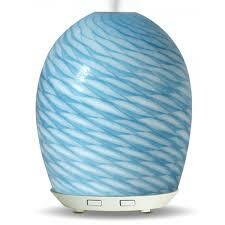 Enjoy aromatherapy for up to 12 hours. The glass top sits on a wooden base. Use warm tap water and pour from a cup not the faucet.